Young produced 23 points (6-18 FG, 1-7 3Pt, 10-11 FT), 11 assists, five rebounds and two steals across 34 minutes in Wednesday's 135-134 loss to the Pacers. Young ends his rookie season having only missed one game and averaging 19.1 points, 8.1 assists and 3.7 rebounds per game. He was strong in close, including getting to the charity stripe often and shooting 83 percent there. While the three-point percentage and turnover numbers could use improvement, Young turned in a solid rookie season and will have a whole offseason to develop his unique skill set. Young (rest) will play Wednesday against the Pacers. Young was given Sunday off, but he'll be back for the season finale. Since March, he's averaging 23.4 points, 9.1 assists, 4.9 rebounds and 1.0 steal in 31.8 minutes. Young (rest) won't play in Sunday's contest against the Bucks, Chris Kirschner of The Athletic reports. Young was questionable entering Sunday's game as it was expected he may be rested. 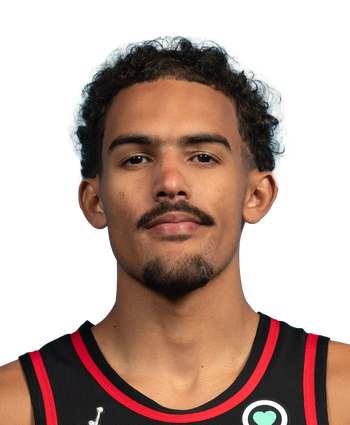 The team has been eliminated from the playoffs for a while now and has no reason to risk injury to their rookie point guard. Jaylen Adams and DeAndre' Bembry will figure to see an uptick in minutes with Young out. Looking ahead, Young's final chance to play this season will be against the Pacers on Wednesday. Young is listed as questionable due to load management Sunday against the Bucks. 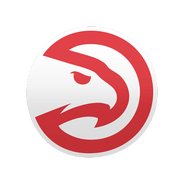 Young has been handling a heavy burden for the Hawks down the stretch, and coach Lloyd Pierce may opt to give the rookie the day off Sunday. Across the past nine games, he's averaging 24.1 points, 10.3 assists, 4.7 rebounds and 1.1 steals in 32.1 minutes. Young registered 22 points (8-17 FG, 1-4 3Pt, 5-7 FT), seven rebounds, six assists and three steals over 27 minutes Friday against Orlando. Young shot 47.1 percent from the field, although it wouldn't matter much in a blowout loss. The Hawks have already been eliminated from playoff contention, but the 20-year-old rookie appears to close out the season on a high note. He's put up 15 or more points in four of his previous five contests.